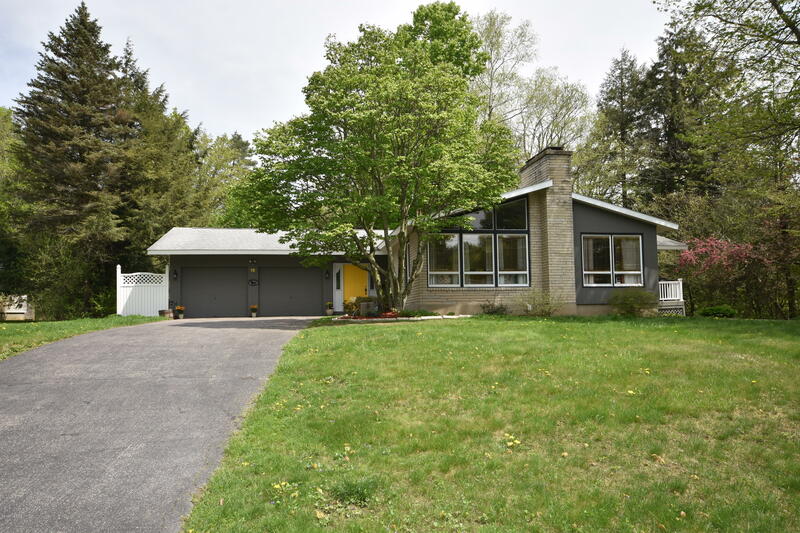 Gorgeous 4 bedroom 2 bath home in a peaceful area of Pittsfield. Charming home has exposed beams, cathedral ceiling, an open layout, double-sided fireplace and wood floors along with large windows flooding house with natural light. Master bedroom with bathroom. Updated carpeting, painting & kitchen. House has both a front and back deck to enjoy the beautiful setting. Gazebo in backyard w/ modern hot tub surrounded by mature landscaping. A Must see!